Report of Proceedings of the ... 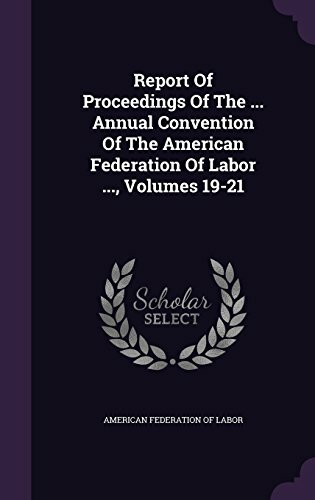 Annual Convention of the American Federation of Labor ..., Volumes 19-21@2845 Rs [Mrp:-2845] - Onlinedeals.discount - A leading product discovery website. Find the true prices of products, read reviews and buy top brand products at reasonable prices.